Deca information and description. 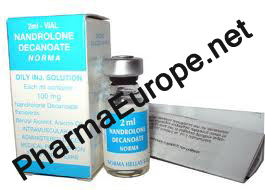 Deca is an injectable steroid that is a derivative of 19-nortestosterone. Deca is a favorite to thousands of steroid users. 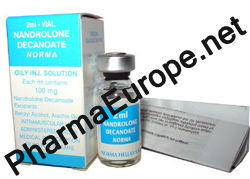 Deca is a low androgenic steroid, with high anabolic properties. Deca is excellent for developing size and strength. Deca does not have very little liver toxicity nor does it disturb the body's own hormone functions excessively. Deca will aromatize in high dosages, but not at the rate of testosterone's or other high androgenic compounds. Deca stack cycle and dosage. Deca can be used for cutting or for bulking. Athletes have stacked Deca with virtually every drug and come out with positive results. It is a good base drug on any cycle. Deca can be used by almost all athletes and give positive results while presenting very few side effects. Women use Deca but only in very low dosages; 50 mg per week. Deca has been established as a great soother of sore joints and tendons. Athletes report that sore shoulders, knees, and/or elbows are somehow without pain on the Deca cycle. This may be substantiated by proving it reduces the amount of cortisol getting into muscle tissue during the cycle. Deca also dramatically improves nitrogen retention and recuperation time between workouts. Deca also dramatically improves nitrogen retention and recuperation time between workouts. Deca has shown up positive on more steroid tests than any other steroid. This is due to the fact that so many athletes use it, and that it stays in the system at a detectable level for up to a year. The drug itself is effective for about two weeks. Average dosages of Deca are from 200 - 400 mg per week for men. Deca used to be the most available drug on the black market, but it is fading fast. It is still available legitimately under the LyphoMed name, as well as Organon, Ruby and Steris, to name the most common labels.